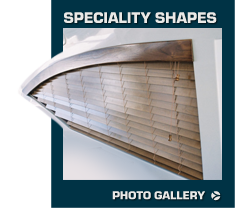 Boat Blinds International is the premier full-line manufacturer of yacht window treatments — their designs and innovations have been copied but never duplicated in originality and quality. Boat Blinds International fabricates all products from components designed not only for a yacht quality appearance but also to withstand the rigors of the marine environment. 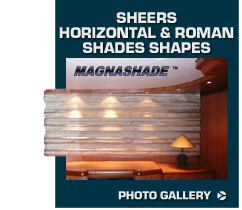 A common practice among professed fabricators or dealers of window treatments for yachts is to sell "re-worked" blinds and shades that were designed for the controlled environment of a home. These products are mass produced with components that are designed for maximum profits. 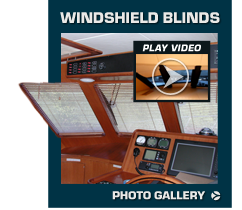 Boat Blinds International was founded in 1992 in the "Yachting Capitol of the World" Fort Lauderdale, Florida. The design and manufacture of yacht window treatments for thousands of different types, sizes, makes and models of boats around the globe makes Boat Blinds International the unparalleled expert to guide you in the design and fabrication of window treatments for your yacht whether it is located in Florida, Italy or Taiwan - anywhere in the world, an experienced yacht window treatment specialist will travel to your location. 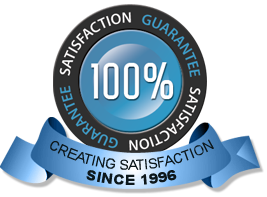 We have traveled far and wide to measure and install our custom manufactured window treatments. We are always available to do so. Outside our normal travel area? We offer you an option. After a discussion about your window treatment objectives you are provided with instructions on measurement techniques to insure the success of the installation. Installation by us, you, or a person skilled is driven by a set of comprehensive instructions. We are a phone call away for assistance. With 20 years of experience, Boat Blinds International has designed and fabricated blinds and shades for every conceivable yacht window shape. Weather it be a trapezoid, triangle, or parallelogram etc. it has been accomplished successfully with full function and exceptional appearance. An executive from Hunter Douglas Window Fashions stated that "Boat Blinds International makes the best specialty blind in the business." The single most effective window treatment for the yacht interior is the covering of the windshield. 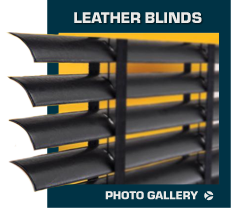 The investment in windshield blinds or shades is truly economical by a substantial decrease in demand on the air handlers - 80% to 95% heat rejection. The finish of interior woods are protected from burn and fading which results in expensive refinishing. All blinds and shades are custom made and fit to insure total window coverage. The need for exterior covering is eliminated.